It’s time for a brief update on our Exotic Propulsion Initiative. 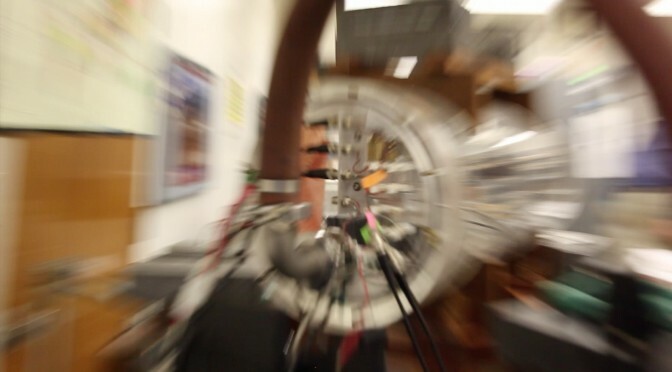 As you know, for a few years now SSI has supported the efforts of the Woodward-Fearn Lab at CalState Fullerton’s Physics Department. We’ve helped fund two interns (one in 2014 and one this year) and we also provide minor support for equipment and supplies. Progress is nevertheless slow since adequate funding has been a challenge, but we want to take this opportunity to thank all the donors to date, who have contributed over $23,000 so far. Most particularly, we’d like to acknowledge the fund-raising efforts of Henri Heinonen who provided the Exotic Propulsion Initiative with more than $5,000 via his Bitcoin Utopia campaign! Update 11/24/14: Welcome BoingBoing Readers! 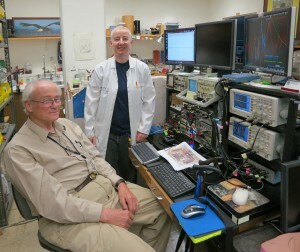 Help us reach our goal of raising $42,000 to provide the Woodward Lab at CalState Fullerton the new instrumentation, computers and power supplies that Emeritus Professor Jim Woodward and his colleague Professor Heidi Fearn need to continue their research on Mach Effect propulsion! Please donate (tax deductible) using the button below. SSI has always prided itself on focusing our resources on projects that work to provide technologies that further the cause of space settlement and permanent life off Earth. We’ve announced two efforts, the G-Lab and the E-Lab, to provide technologies required for understanding the amount of gravitational force and practical closed life-support systems required for long-term or permanent human habitation in space. To these projects we have added the Exotic Propulsion Initiative, to explore exotic propulsion opportunities at the very borderlands of physics. Much public and press excitement has been generated by the DARPA-funded “100 Year Starship” effort, and work on warp drive theory and concepts at NASA’s Johnson Space Center. 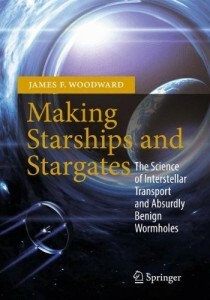 An intriguing and thoughtful recent book by Professor Jim Woodward, Making Starships and Stargates: The Science of Interstellar Transport and Absurdly Benign Wormholes (Springer Praxis Books / Space Exploration) , has further heightened interest in “exotic” physics propulsion concepts. While no one can predict if or when these technologies might become practical, we can say for certain that not funding basic research will consign any breakthroughs to the realm of science fiction forever. Accordingly, SSI has established our Exotic Propulsion Initiative to take bold new risks that are unlikely to find conventional funding. 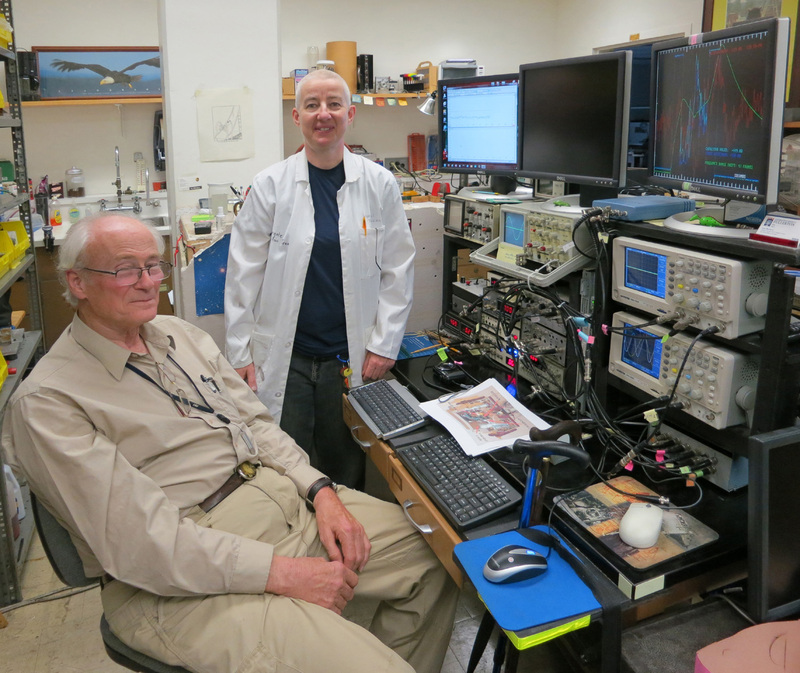 Donations to the project will be first used to extend and replicate Professor Woodward’s provocative research findings at his lab at CalState Fullerton, and as resources permit, to open new avenues of exploration into advanced propulsion with other scientists. Professor Woodward has donated major royalties from his book to SSI in order to jump-start this project’s funding. We are grateful for his donation and are very pleased to be able to offer an opportunity to all interested parties to extend and increase his gift.